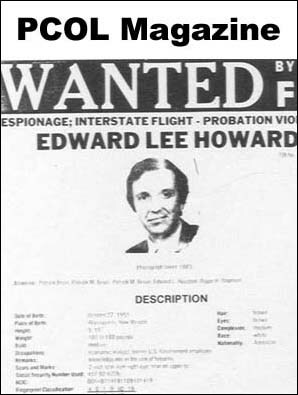 Howard, Edward Lee. Safe House: The Compelling Memoirs of the Only CIA Spy to Seek Asylum in Russia. Bethesda, MD: National Press Books, 1995. A rush of espionage cases and events resulted in 1985 becoming known as the "Year of the Spy." The second most surprising event, after the defection and redefection of Vitali Yurchenko, was the disappearance of former CIA DO officer Edward Lee Howard from his home in New Mexico followed by his appearance in Moscow. Howard had apparently been identified by Yurchenko as a KGB source in the CIA. This book is Howard's autobiography and a platform upon which he tells his version of events. There is nothing particularly unusual about Howard's early life. He was an Air Force brat who put down roots in New Mexico and achieved a good education. After graduating from the University of Texas in 1972 he joined the Peace Corps and worked in South America for several years where he indulged in recreational drug use (marijuana and cocaine). 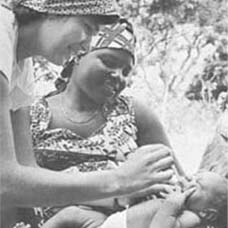 He returned to the US after his spell with the Peace Corps and took an MBA from the American University. After working in private industry for a short period, Howard joined the CIA as a career trainee in 1980. We are told that Howard was given a firm warning on his first day that any repeat of his admitted earlier drug use would mean his immediate dismissal. The next stage of his story is well known: whilst being prepared for posting as Chief of Station in Moscow, he failed a series of polygraph tests and was fired without explanation in 1983. There is still no explanation for the firing in the book. At this point Howard did something that could be fairly described as mind-numbingly stupid: he called the Moscow embassy over an insecure line to let a friend stationed there know that he would not be joining him and that he was upset about the outcome of events. Howard returned to New Mexico and began working for the State of New Mexico. Some of the strain of being fired showed itself in his being arrested for a firearms offense for which he obtained parole. After his life settled down to some extent, he and his wife took a number of trips to Europe for business and for pleasure. Other than that, his life was not particularly notable until Yurchenko gave a fairly accurate description of him as a source. Howard describes the surveillance from the point of view of the target and either he was particularly adept at spotting surveillance (he had undergone extensive countersurveillance training in preparation for the Moscow posting) or it was, deliberately or not, quite clumsy. Over the next few weeks he had several adversarial meetings with a number of FBI officers. Howard was actually in an invidious position, his parole would have been revoked if he had been charged with espionage, even if he was cleared, he would still have to have served several years for the firearms offense. This is what gave Howard the impetus to flee. There is nothing particularly new in Howard's version of the escape; it agrees well with the published versions. Once he had slipped the FBI surveillance he moved quickly and was able to walk into the Soviet embassy in Finland within a day or two. Although it took a couple of days for the local KGB station to realize what they had, once they did so, they moved with commendable speed and soon had him across the border in the Soviet Union. Howard then tried to build a new life and his version of the story of the defector adjusting is similar to that of Soviet defectors to the West such as Belenko, Levchenko and Sakharov in that the separation from his home and family weighed heavily on him. Unlike Soviet defectors, Howard felt he could risk returning to the US to visit his wife. However, he claims to have aborted the trip after arriving in the US when he received a report, ostensibly from a Soviet source within the FBI, that indicated that his wife would turn him in. This is a controversial section of the book that seems to be almost impossible to confirm or rebut. The Soviets appear to have treated him well, even though he could have become a real hot potato for them. He had several meetings with Kryuchkov and other senior KGB officers at his dacha outside Moscow, all of whom left a favorable impression on him. Attempts to build a new life with his family in Hungary and Sweden were frustrated, apparently by US pressure, forcing him to return to Moscow where he still lives today as a Russian citizen. Howard does himself few favors with this book. From his drug use in the Peace Corps to his defection and to the time he nearly gets repatriated by an enthusiastic Soviet guard, he makes one dumb decision after another; he is his own worst enemy. If the Soviets had been trying to set up a decoy to distract attention from Aldrich Ames, they couldn't have done better than Howard did himself. When he isn't being silly, Howard is being disingenuous. He admits that he did give information to the KGB, but claims that it can't have done any harm as such information is ephemeral. Howard appears to be unaware of the counterintelligence tenet that any information is useful information and he may have helped the Soviets more than he is willing to admit. He does concede that he may have been sacrificed to protect Ames. The style is clear, but flat, and in a couple of places it is embarrassing. It would be too much to expect that Howard could invoke his childhood as eloquently as Ron Kovic did in Born on the Fourth of July, but Howard's first chapter reads like it was written when he was still in junior high. In addition, there are some annoying errors, such as the misspelling of the word "Chaika" throughout the book, and his labeling of the Hungarian security services who were keeping an eye on him as the "Hungarian KGB." Howard expresses a considerable dislike for David Wise's book about him, claiming to have been misquoted a number of times. However, Wise (The Spy Who Got Away, Random House, 1988) did take the time to find out more about the CIA's treatment of Howard after the firing than Howard tells us about and he shows a level of detachment from the case that allows useful lessons to be drawn. It is recommended over this offering. Readers looking for an American version of Philby's beguiling My Silent War will be disappointed.